The health startup association of Finland changes it name to Upgraded, in order to create a stronger link to their annual flagship event Upgraded Life Festival. After five years as HealthSPA, and being many times confused with a real spa (that we occasionally wish that we would be), we have decided to bring the name of our association closer to what we hold so dear – our annual flagship event, Upgraded Life Festival. We love what Upgraded Life Festival stands for – gathering the whole health ecosystem to collaborate, to showcase innovations, to scrutinize them, and to make them flourish. It represents so well what we stand for as the Finnish Health Startup Association. No good health innovation should be lost due to the lack of knowledge of them. What we yearly do condensed in a couple of days at Upgraded Life Festival, is what our association does in a tailored scale the rest of the year. As the startups grow, so do we. With the new brand, we want to continue paving the way for new health solutions by taking our activities to new spheres. We want to thank the entrepreneurs, supporters and enthusiastic individuals who have been on this journey with us since day one, and those, who have joined us along the way. We are grateful of having the opportunity of building a healthier future together with you. 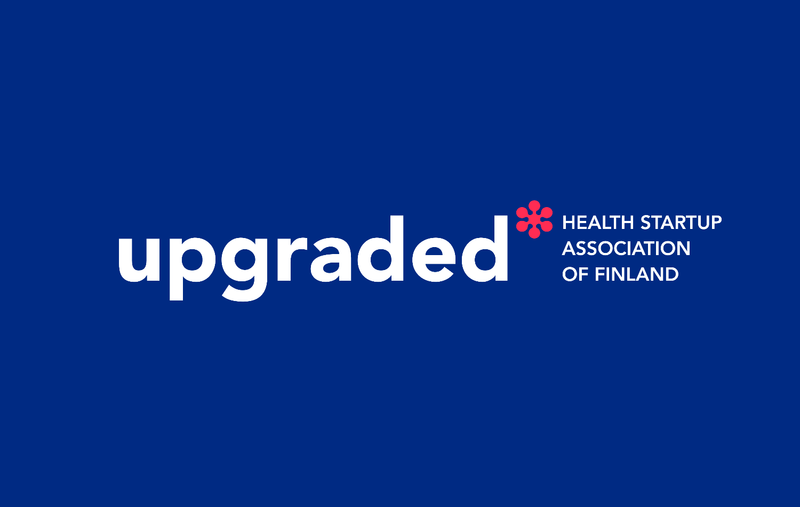 So now, we are happy to announce, that from this day onward our name is Upgraded* Health Startup Association of Finland. It is time to say goodbye to the name HealthSPA, and start a new exciting chapter. The activities of our association will continue as before but with an Upgraded twist. With these words, it’s time to celebrate. See you at the 5th Upgraded Life Festival in May! Get your ticket here. Welcome to the Upgraded Community! P.S. As the Upgraded association embraces Upgraded Life Festival, you can expect to see some changes in the look of the Festival as well. Stay tuned for the big release.